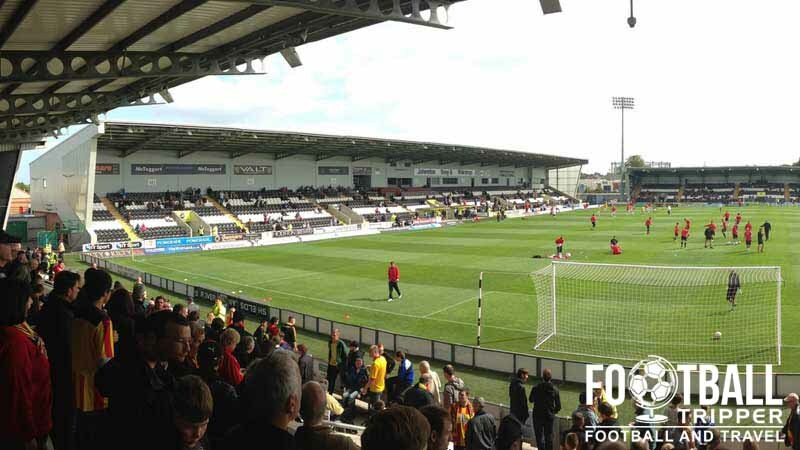 St. Mirren Park also popularly known by fans as Greenhill Road is a purpose built football stadium locate in the historic Scottish city of Paisley. Home of St. Mirren F.C since 2009, the 8,000 capacity stadium was constructed after the club sold the off the site of the previous stadium to supermarket chain Tesco. 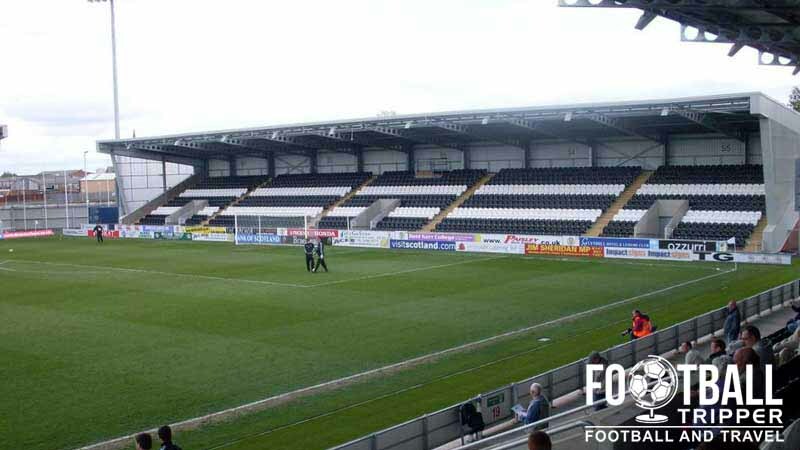 Green Hill Road is the sixth stadium in St Mirren’s history and it replaced the clubs former home on Love Street known officially as St Mirren Park. Capable of seating over 50,000 fans in its prime, Love Street first opened back in 1894, undergoing modernisation over the 20th century.The sale of the ground to Tesco’s for £15 million in 2007 was seen as a pragmatic step to securing the long term future of The Buddies, as the deal would allow them to construct a new ground whilst clearing existing club debts. The new stadium had 2,000 less seats than the old ground but offered better facilities and views of the pitch with St. Mirren no longer shackled by restrictions of the site of the 19th century building. After planning permission was received by the local council construction began on the 7th January 2008 and finished a year later on the 31st of January 2009. Costing an estimated £8 million pounds, St Mirren entertained Kilmarnock in a 1-1 draw with the ground’s record attendance of 7,542 achieved that day after the opening ceremony. As one of the most modern grounds in Scotland, the national football association has made “Greenhill Road” one of the home stadium of the men’s under 21 football team with the youngsters currently in qualification for the 2016 European Championships. Built by Barr Construction, the design of the stadium consists of four distinct grandstands with the main facilities housed within the east stand. One notable feature of the ground is the use of plaques which adorn the walls outside of the stadium. Featuring names of both players and members of the supporters association, the move has proved popular with fans and serves as a powerful reminder as to what football is all about. St. Mirren Park Stadium is comprised of four stands: North, East, South and West. Away fans are located within the North Stand which is a goal-end single-tier section of seating capable of accommodating up to 1,600 supporters. All of the pubs within Paisley tend to be located south of the stadium within the area surrounding University of West Scotland’s campus which is perhaps no small coincidence. Close to Paisley Gilmour Street a good starting point to get your bearings is The Last Post Wetherspoons pub which is located just off of County Square to the rear. East of White Cart Water Canal there is Gabriels which is a “lively pub-restaurant”, and for anyone who likes student pubs there is the Hamishes’ Hoose right next to campus on the high-street. Within a five minute radius of the station there is the likes of predictable fast-food chains such as Greggs and Subway, however by venturing slightly further afield you can do so much better. There are plenty of independently run and highly recommended restaurants including Raja Tandoori, La Dolce Vita, and The Hippy Chippy. St Mirren operate a club shop at the stadium which is guaranteed to be open on matchdays in addition to an online store known as St Mirren Direct. which is guaranteed to be all but open 24 hours a day, seven days a week. 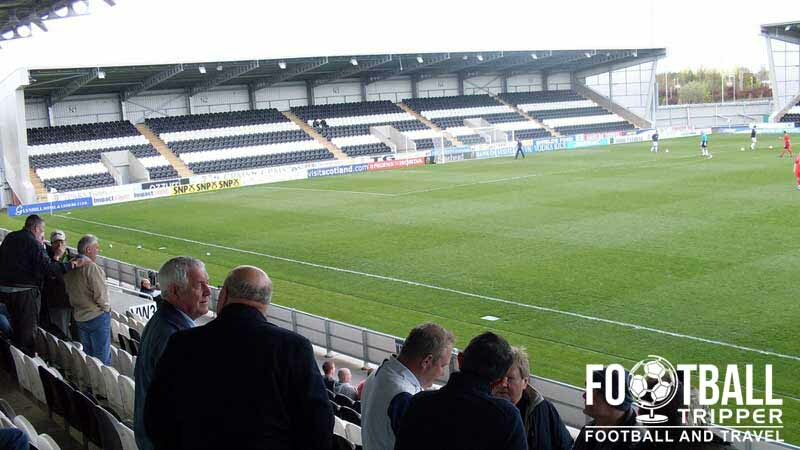 St Mirren are actually one of the few Scottish clubs who offer fans the chance to undertake a stadium tour of St Mirren Park however they are only run sporadically once or twice a season. Costing £5.00 per adult, the tour lasts around 60 minutes and covers the entire ground including the board room, the dressing rooms, the players’ tunnel and the corporate facilities. To find out when the next stadium tour is you can phone (0141) 889-2558 and press 5 from the voice menu. The nicest looking stand at the stadium from outside. For further information and to purchase tickets you can either phone the club on (0141) 840-6130 , send an email to [email protected] or visit the SMFC Tickets website. St. Mirren Football Club are based in Paisley, Renfrewshire, which lies within the west central Lowlands area. 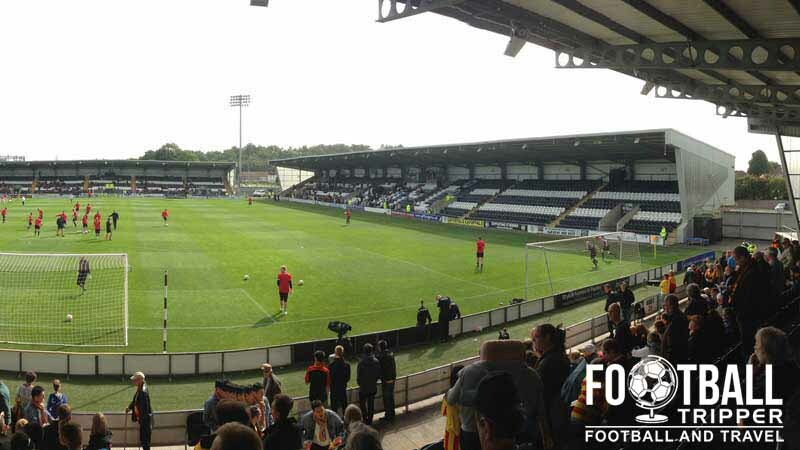 Their stadium St Mirren Park is located just under a mile from the centre of town. Some on street parking around St Mirren Park Stadium. Whilst there the club’s official car parks are only reserved for management, players and guests of the club, Sit Mirren recommend a number of locations which have on-street parking within the immediate vicinity of the ground. Err on the side of caution and make sure you double check relevant signage before parking! 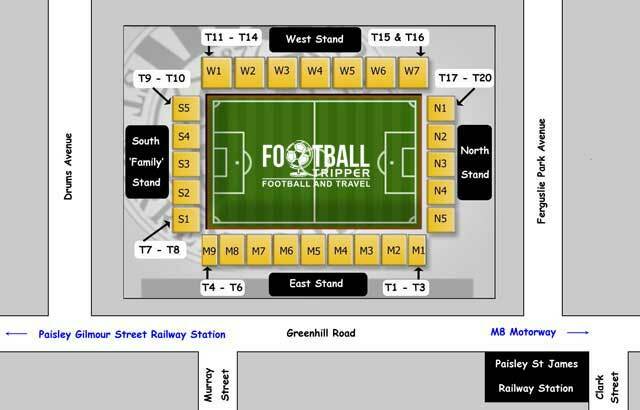 The closest station to St Mirren Park is Paisley St James, and although this is a convenient way to get to the ground on matchdays, it isn’t actually the main station of the town. The closest railway station to the ground is Paisley St James. The main railway station which has direct links to Glasgow and other parts of Scotland is Paisley Gilmour Street which is located within the city centre. For local bus timetables and routes please visit McGills Buses who operate the services within Paisley. Located 1.5 miles south of Glasgow Airport there are some big names fairly close to the stadium including the likes of Holiday Inn, Travelodge, and Premier Inn however they’re not to everyone’s taste. The centre of Paisley has more independently run places such as the Ashtree, and The Watermill Hotel.